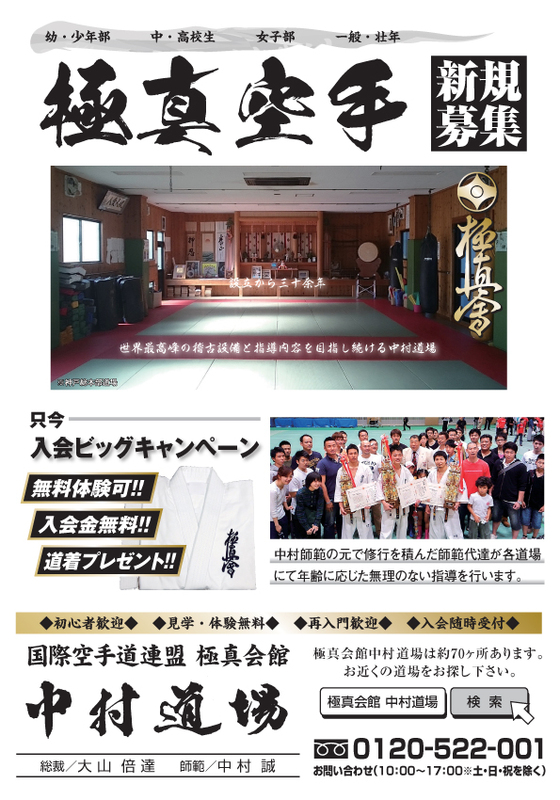 Kyokushinkaikan Nakamura Dojo will follow the IKO competition rules that the late Sosai Oyama put forward, which applied until 2015. We hope the particulars below will answer frequent questions that we receive and clarify our standpoint in terms of the Kumite rules. 1. All techniques of pushing (Oshi) and hooking (Kake) are illegal. 2. A high kick followed by Zanshin does not constitute a half point (Waza-ari) unless the criteria outlined below are met. A high kick (Mawashi geri, Mae Geri, Ushiro Mawashi Geri, Hiza geri etc) that downs the opponent or results in the opponent’s loss of his or her will to fight for less than three seconds, after which the opponent stands up to resume the fight, scores a half point (Waza-ari). A half point is also awarded where a high kick causes the opponent to be damaged, to stumble or be disoriented. A high kick (Mawashi geri, Mae Geri, Ushiro Mawashi Geri, Hiza geri etc) that clearly lands, with or without damage, scores a half point (Waza-ari). Also, even if the kick does not give clear landing on the opponent’s head, if the technique is effective and causes damage to the opponent, a half point is awarded. When the opponent is downed and momentarily becomes defenceless with any technique, including foot sweeps (Ashi-kake) and is followed immediately by a well-focused, but non-contact, downward punch (Gedan Zuki), might score a half point (Waza-ari). 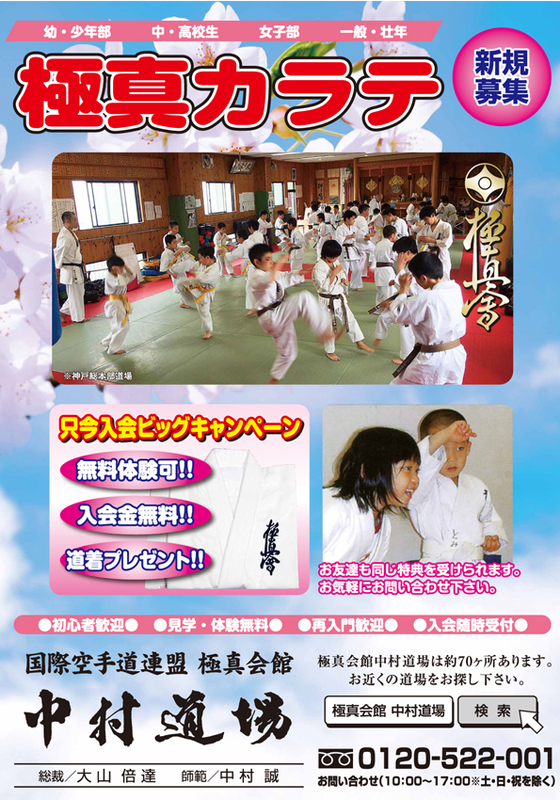 *A half point (Waza-ari) takes precedence over Genten Ichi. -Actions considered by the judges to be sheer violence, deliberate fouls or deliberate bad attitude, will result in disqualification (Shikkaku) regardless of the score. 国際空手道連盟極真会館中村道場 Copyrights © 2019 Nakamura Dojo, All Rights Reserved.